And time for another short course on Sourdough Bread Baking at the Creamery Arts Center in Hotchkiss, Colorado. Each of will us feed a cup of hungry microbes—a.k.a. Sourdough Starter, while I ply you all with buttered slices of this freshly baked at the Creamery, slathered with a local jam, all the while regaling you with True Microbe Stories. And, how to make and bake it. That’s what they call it now, the bread of our ancestors. It’s a very simple recipe: flour, starter, water and a little salt. This is bread you can live on. A form of lactic acid fermentation (think: yogurt, kefir, sauerkraut, kimchee…) sourdough starters ferment the grain in the dough, usually wheat, into more digestible food for us, and *BONUS* food for the good microbes that inhabit our guts and keep us healthy. And, sourdough starters generate their own yeast, so you don’t have to add any. None. Zip. Nada. But you do need to let the dough rise for a much longer time than is needed for breads that use store-bought yeast. Eighteen hours is good. But sometimes the dough rises faster than that, so you just gotta bake it. The granulated yeast in the packets and brown jars at the grocery store makes a passable bread–totally tastier than the mass-produced breads from commercial bakeries. But it is not as fabulous, nor is it evidently as nutritious to the human body as the wild yeast breads, aka those produced with sourdough starters. As it turns out, sourdough starters are a microbial mixture of lactic-acid and alcoholic fermentation. Yeast microbes are alcohol fermentaters, and we need them to make the bread rise. Yeasty breads smell heavenly in the baking, but without the lactic acid fermentaters, the bread falls short in flavor. I’ll never go back to commercial yeast. 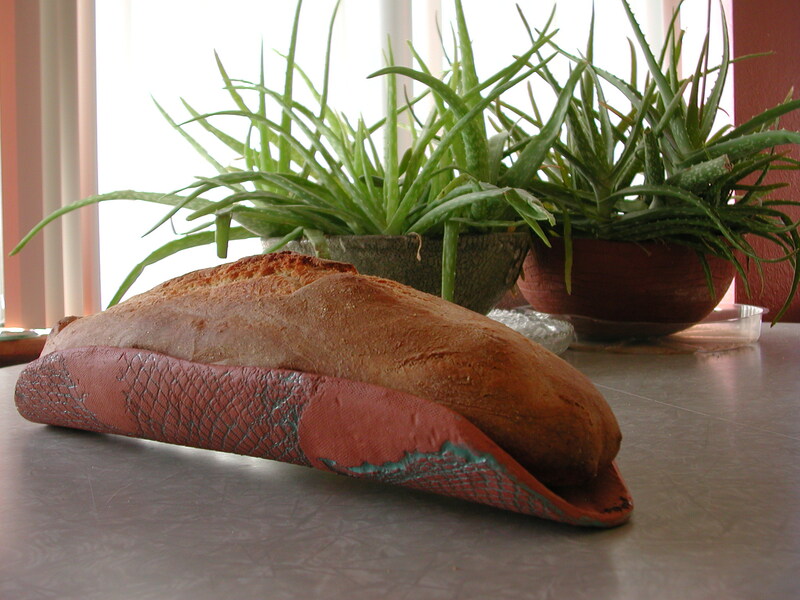 You can easily grow a starter yourself, comprising yeast microbes, which cause the bread to rise, along with three or so others that make the aforementioned very tasty bread. For more info on how to start and feed a starter (it’s easy, really! 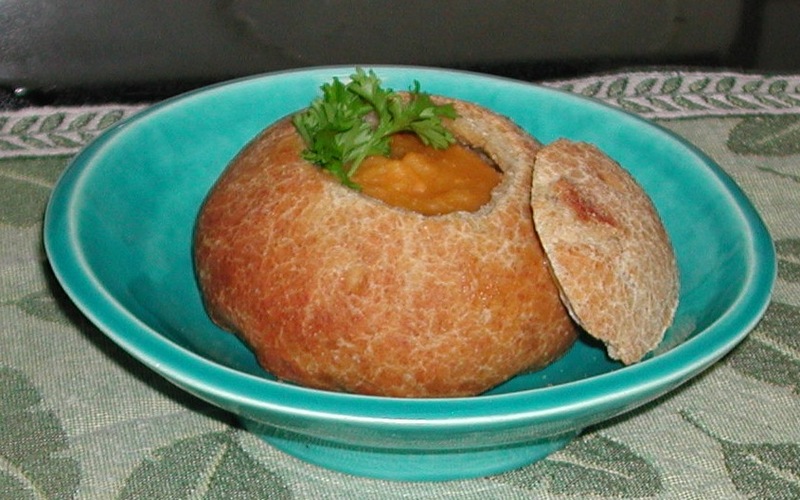 ), go here: http://www.scientificpsychic.com/alpha/food/sourdough-bread.html. Check out the link at the end about lactic acid fermentation, and Who’s Who in your starter, and what they eat, how they eat it. The beasties: yeast and lactobacillus…remember the fad some years ago, where Sweet Acidophilus Milk was readily available at major grocery stores? It was a good idea. A great idea. Lacotbacilli are not just good, not just great, they are essential to our health. Lactobacillus is a large family of rod-shaped microbes; several varieties reside in common foods we regularly eat, such as beer, wine, yogurt, sauerkraut, pickles, kimchi, and of course, CHOCOLATE! It’s the Lactobacillus sanfransiscus, the First Citizen of sourdough starters, that makes the bread fantastic. Yep, named after the famed Sourdough Bread of San Fransisco. Mmmmm….microbes….how lucky we are to have them in our midst. I love the microbes in my starter. I can’t see them, but I see evidence of them. The starter almost doubles in volume soon after feeding, as the microbes discharge CO2 while mawing down on the grain and sugars. I hear the CO2 bubbles snap and crackle as they pop. It makes me smile.